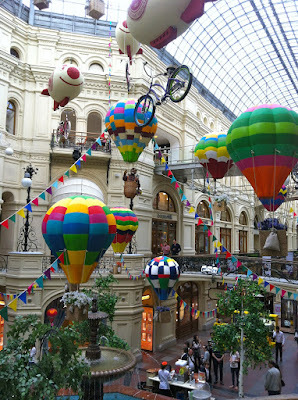 I've posted about GUM (the famous shopping arcade that borders Red Square) before... It is so darn beautiful... Right now the decorations are just stunning. 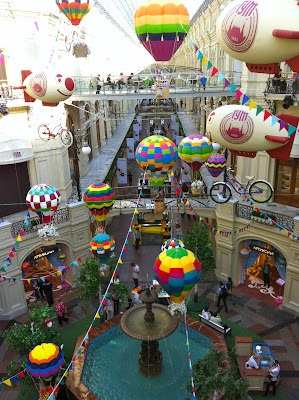 Retro bicycles everywhere, and replica hot air balloons... It's contagiously cheerful! I love how the place has been revamped, along with Gorky Park. There's now a reasonably-priced cafeteria on the third floor, and the people-watching is as fun as ever. A few weeks ago I was lucky enough to snag complimentary VIP tickets for me and Katya to attend a small talk with Pixar's John Lassater... We definitely saw "Brave" yesterday with a different level of appreciation for what went into making the film! I've seen previews of the movie on TV and would like to see it. 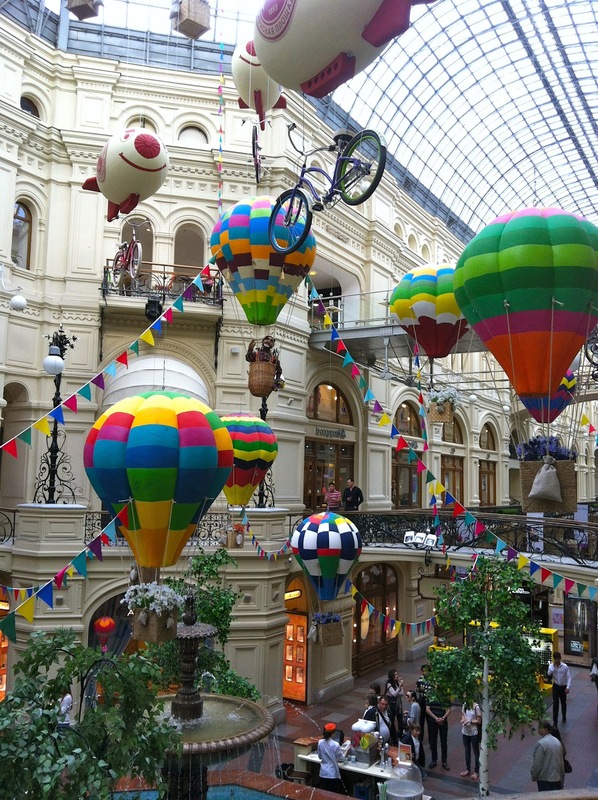 The upscale Moscow is always so startling after being in Ivanovo....well, perhaps it is startling after being at my house, for all that! Really gorgeous. I think I feel badly about Gorky Park. Alla took us there one day and we had an idyllic time in amazing weather, riding on the rides....well, I'm glad it happened. There probably is something pretty there now - just gardens, right? But it surely can't match the bumper boats. "The Passenger from San Francisco"